and bike assembly are additional. It is our policy to ship our bikes to bike shops so a professional can complete the assembly of your Buddy Bike. Buddy Bikes that are not assembled by a professional at a bike shop will not be covered by the one-year limited warranty. Please provide the name, address and phone number of your local bike shop when placing your order. In stock orders will be shipped within 3 business days. Please allow up to 10 days for delivery. Bikes ship from Chino, CA by freight/truck. Refunds & Returns Policy: Full refunds are provided if orders are cancelled prior to shipping. Once a Buddy Bike has shipped, all sales are final. No refunds. No returns. Accessories can be returned or replaced within 30 days for a 100% refund on product cost, no refund of shipping cost. Buddy Bike has a one-year limited warranty on parts and will repair or replace parts damaged in shipping. See Buddy Bike Limited Warranty. Please note that our dealers may offer their own return policy and any sales through the dealers may be subject to those policies. Tracking Your Order: Tracking information will be provided with your payment receipt. The information on this page has been collected through past orders and our customers. For details specific to your order, please contact shelley@buddybike.com. The information on this page is subject to change. Duty and import fees are additional. See notes below under "International Orders/Canada" and check with your local customs office for current fees. UK customers should check with their customs office. 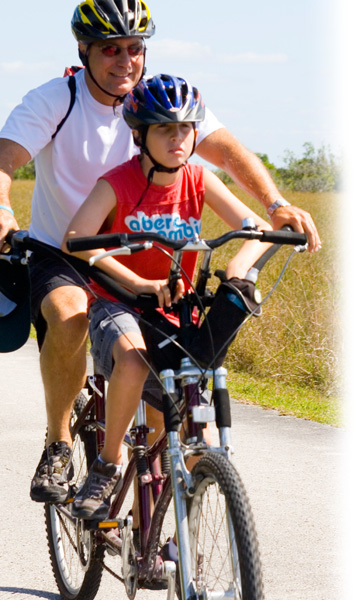 You may be eligible to import the Buddy Bike duty free if receiving for a "disabled child". The Buddy Bike is too large to ship to APO/FPO addresses. Domestic shipping class: 150, 0.3 cbm or 10.6 cubic ft. Shipping: It is the policy of Buddy Bike, LLC to ship Buddy Bikes directly to a bike shop. When shipping internationally we may make an exception and will ship to a local airport. The customer will need to claim the Buddy Bike at customs and SELF CLEAR. This may provide a savings in brokerage and duty tax fees. We require that customers take their Buddy Bikes to a professional bike shop for assembly and request that they keep their assembly receipt as proof. Buddy Bikes that are not assembled by a professional at a bike shop will not be covered by the limited warranty. All funds are in USD. These prices are subject to change. Customs and Duty Taxes: Check with your customs office to verify your duty tax rate. Buddy Bikes are manufactured and partially assembled in China. Some countries have very high import tax rates if the point of origin is China. Tax Exemptions: Check with your customs office to verify if there are tax exemptions or reductions when importing products for a child with a disability. US Military Overseas: The Buddy Bike is an oversize item and can't be shipped to most APO/FPO addresses. We have shipped a Buddy Bike to US Air Force base in Germany and using AE Form 550-175A the family received the Buddy Bike duty tax free. (Per http://www.hqusareur.army.mil/opm/custom1.htm.) Check with your military customs office to see if there are duty free programs and forms for your base. Please share any information with me at shelley@buddybike.com. Canada: In Canada, bicycles are normally subject to a 13% duty tax, however, under Tariff Code 9979, goods designed spcifically for use with the disabled are duty free. It may also apply to the GST fee. Check with your local customs office to see if the Buddy Bike qualifies for this exemption. Currency Converter: Use this currency converter to calculate bike costs in your currency. no refund of shipping cost. All amounts are in USD. Prices and specifications are subject to change without notice.